But as a Republican who reached across the aisle to his colleague Senator Lieberman and others to become a lead sponsor of the first major bipartisan Senate legislation to confront the global warming issue, he established a benchmark for prescience on this topic that none of his Republican Senate colleagues are able to match today. 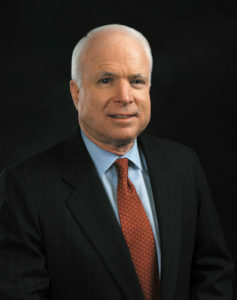 In addition, as those of us who worked on public policy dealing with renewable energy, energy efficiency and CO2 reduction were seeking to make the business case for pursuing those goals as a national priority, Senator McCain’s initiatives through hearings, proposed legislation and public commentary gave a credible underpinning for mainstream business and policymakers to take another look at this topic. For example, petroleum-based industries, though still opposing any kind of regulatory emission controls, recognized that, with someone of Senator McCain‘s prestige voicing concern about climate change, the issue would not go away. Energy efficiency industries were more prominently recognized for their critical role in reducing CO2 emissions, and those industries began to add that argument to the economic calculations of their products’ benefits. States, even those run by Republican governors, took another look at their own role in reducing CO2 emissions and began upgrading building codes and related regulatory approaches. 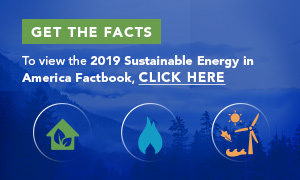 McCain’s efforts to draw attention to this issue have helped carry us to the place we are today: the United States has reduced its energy usage and CO2 emissions while at the same time increasing its economic productivity. As did the Senator, the U.S. national defense establishment understands the threat of climate change. The 2018 National Defense Authorization Act, recently enacted by Congress, calls climate change "a direct threat to the national security of the United States." And so the momentum towards clean, sustainable energy is pushing forward irrespective of the political paralysis caused by uncompromising ideology. So as we say goodbye and thank you to this great American hero, those of us who continue to fight the climate change battle will remember Senator John McCain's leadership and accomplishments in this war as well. About the Author: Jared Blum, is a BCSE Board Member and Board Chair, Environmental and Energy Study Institute (EESI). Note: This article has been re-posted from the EESI website with the author's permission.